Chinese President Xi Jinping will chair the 18th Shanghai Cooperation Organization (SCO) Summit, State Councilor and Foreign Minister Wang Yi announced Monday. BEIJING, May 28 (Xinhua) -- Chinese President Xi Jinping will chair the 18th Shanghai Cooperation Organization (SCO) Summit, State Councilor and Foreign Minister Wang Yi announced Monday. 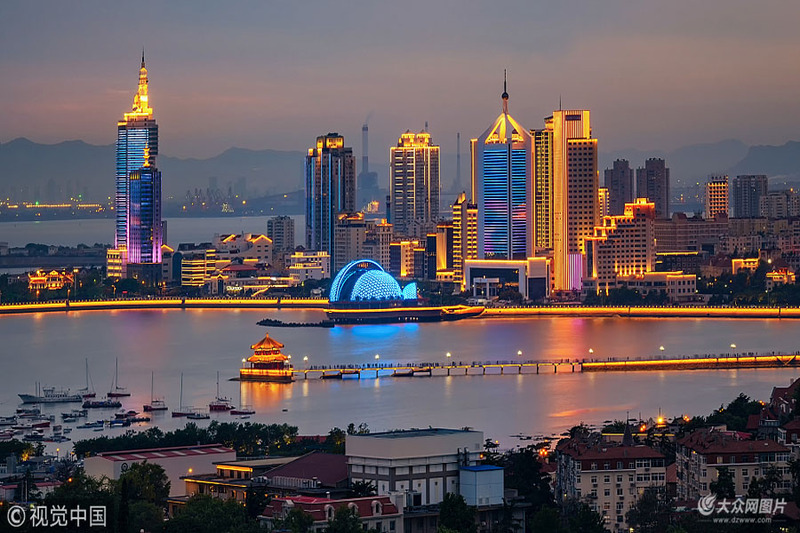 The summit is scheduled for June 9 to 10 in Qingdao, a coastal city in east China's Shandong Province. Leaders of SCO member states and observer states, as well as chiefs of various international organizations will attend the summit, Wang said at a press conference on the summit in Beijing. This is the first SCO summit since the expansion of the SCO in June 2017 at the Astana summit in Kazakhstan, when India and Pakistan were accepted as full members. It is the second major diplomatic event China is going to host in 2018, following the Boao Forum for Asia annual conference in April. According to Wang, Xi will exchange views on the current and future development of the SCO, cooperation in all areas under the new situation, as well as on major international and regional issues, with leaders of the other seven member states, four observer states and chiefs of the international organizations. Xi will sign the Qingdao Declaration and a dozen agreements on security and economic cooperation, and people-to-people exchanges with leaders of other member states, according to Wang. The president will also invite foreign delegates to a welcoming banquet and a display of fireworks and lights, he said. On the sidelines of the summit, Kyrgyz President Sooronbay Jeenbekov, Kazakh President Nursultan Nazarbayev and Russian President Vladimir Putin will pay a state visit to China at the invitation of Xi. Iranian President Hassan Rouhani will pay a working visit to China. Xi will hold bilateral meetings with other leaders during the summit, Wang added. Since China took over the rotating presidency of the SCO last June, more than 160 activities including a series of important institutional meetings and multilateral events have been held so far, Wang said. "Mutual political trust has been lifted to a new high; security coordination has made new progress; pragmatic cooperation has achieved new breakthroughs and people-to-people exchanges have yielded new fruits," Wang said. He said China hoped that the Qingdao summit would reach new consensus, formulate new measures and design a new blueprint for enhanced development. Wang said the Qingdao Declaration to be issued after the summit would sum up the development experience of the past 17 years since the SCO was created in Shanghai in 2001. The declaration will call on all parties to continue to carry forward the Shanghai Spirit of mutual trust, mutual benefit, equality, consultation, respect for diverse civilizations and pursuit of common development, Wang said. "Parties are also encouraged to enhance the cohesion, implementation capacity and the influence of the SCO, gain consensus on building a community with a shared future for humanity and building a new type of international relations featuring mutual respect, fairness and justice, and win-win cooperation, and enrich the Shanghai Spirit in the new era so as to consolidate the basis for the SCO's future development," Wang said. He said that on security the summit focus would be on the "three evil forces" (terrorism, extremism and separatism), drug trafficking and cybercrime. "During the summit, leaders of the SCO member states will analyze the global and regional security situation, explore specific measures to strengthen security cooperation and review several cooperation documents," Wang said. On development, Wang said the summit would deliver a clear message on issues like improving global governance and consolidating the multilateral trade system. "The summit will advocate the new vision of innovative, coordinated, green, and open development that is for everyone, and strive to create a favorable development environment for member states," he said. A number of cooperation documents will be adopted at the summit in the hope of transforming political consensus into achievements, he said. "The Qingdao summit will lay out new plans to enhance the synergy of development strategies of member states, especially promoting the construction of the Belt and Road to lift regional economic cooperation," the Chinese foreign minister said. Wang said that Shandong Province, as the home of ancient Chinese philosophers Confucius and Mencius, was one of the birthplaces of Chinese civilization. He said that Qingdao, as one of the first Chinese cities to open up, was an important port for the Belt and Road, and that people could sense the extensive, profound local culture and the vitality of China's reform and opening-up. "I believe that Qingdao Summit will become a new milestone in the development of the Shanghai Cooperation Organization," Wang said.